iRealHousewives | The 411 On American + International Real Housewives: RHOS Producers Looking For New Cast Members For Season 2! RHOS Producers Looking For New Cast Members For Season 2! The Daily Telegraph reports that Matchbox Pictures, the production company behind The Real Housewives of Sydney have been doing test shoots this week with potential new cast members for the show's upcoming second season. Apparently, the network is looking to shake up the cast after a volatile first season. The publication claims that producers have been meeting with women over the past few weeks about joining the franchise. The Daily Telegraph understands a few women have knocked back the opportunity. Barbara Coombes — BFF to Roxy Jacenko, and Harriet Waugh — owner of Bistro Moncur and a string of Sydney hot spots — both told the publication recently that they had been approached for the show. They both revealed that their families were not in favor of them joining the Foxtel hit reality series. “Personally my husband might go shopping for a new wife (if I was on the show), so I am a no,” Coombes said. “I am not sure it is my speed,” Waugh said. 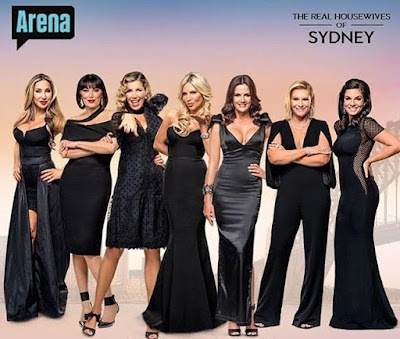 The stars of season one of The Real Housewives of Sydney are rumored to getting extremely tense as they wait for news about the return of the show. Rumors are swirling around the Eastern Suburbs that season one castmates Victoria Rees and Nicole O’Neil are said to have had a falling out in recent weeks. A source close to the ladies said to have been fighting over potential new co-stars. However, O’Neil shut down the rumor as gossip. “She is coming to my birthday, we are not fighting, we are good,” O’Neil told the publication. Foxtel and Matchbox are both keeping tight-lipped about the future of the show. Season 1 cast members consisted of seven ladies: Athena X Levendi, Krissy Marsh, Lisa Oldfield, Matty Samaei, Melissa Tkautz, Nicole O'Neil, and Victoria Rees. Do you want RHOS to get a second season? Sound off in the comments below!